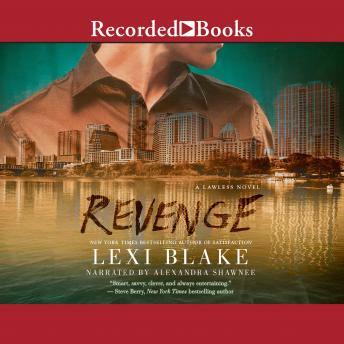 Passion and danger collide in the latest contemporary romance featuring the Lawless siblings-from New York Times bestselling author Lexi Blake. When Drew Lawless discovers a fatal flaw in his plan to avenge his parents' deaths, he turns to the one woman he promised he wouldn't touch. He offers her a deal, one that will bring her into his investigation, his life, and his bed. Investigative reporter Shelby Gates never dreamed how twisted the case would become-or how fascinated she would be with Drew. Every day they spend together binds them. And every night brings her closer to realizing he might be the man for her. As Drew's feelings for Shelby grow, so does the danger. From the streets of Dallas to Austin's high-tech business world, Drew and Shelby play a game begun twenty years before-a game they will win, or die trying.